Oil and Natural Gas Corporation Limited(ONGC), a “Maharatna” Public Sector Enterprise has released a recruitment notification for the post of Deputy General Manager and Finance & Accounts Officer in 2015. Read out further for more details about ONGC recruitment. Finance & Accounts Officer- (UR)-Maximum 30 Years, SC/ST-Maximum 35 Years. with 18 years of post experience. with 2 years of post experience. Application fees : General and obc candidates have to pay Rs. 500 and SC/ST candidates have to pay Rs/. 100 through proper challan. 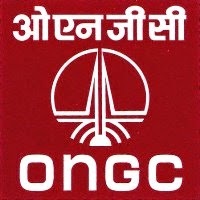 0 comments for " ONGC Recruitment 2015 for DGM & Finance Officer (F&A) "